I hate that dream where I can never seem to get to where I'm going. You know the one where you are running and running, but never can seem to make it. When I waited tables through college, I had that dream all of the time. I could never get to, or back to, a table. I still have the dream from time-to-time, and it's usually me trying to get to Ollie from across town, or finish an article that was due two-weeks ago. Well. 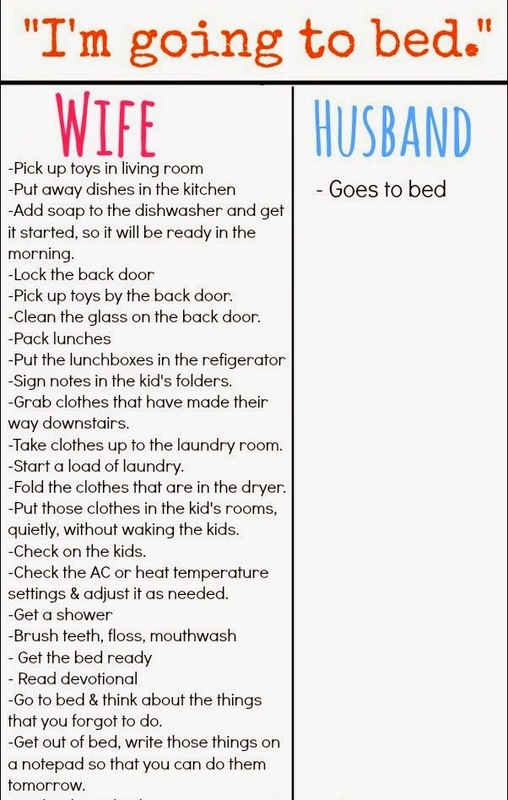 That dream pretty much sums up my life as a mom--I can never cross the field of things I need to do in a day. Now that I'm a mother, I really understand the meaning of, "there is just not enough time in the day." There's not! I have so much to do between keeping up the house, the kid and work... oh and then there is me too! I have been harping on since my son was six-months-old about how I have lost myself, and that I cannot find a happy balance between it all. In the last two years I have come to realize that there will NEVER be enough time, unless I make it. I also think my problem is overcompensating. Last night, I went out to dinner for my mother's birthday, and since the dinner was late, FTD and Ollie stayed home. Earlier that day, I asked FTD what he wanted for dinner, so I could make them something before I left. He told me not to worry, that he and Ollie would make a "meaty spaghetti." So what did I do? Before getting ready to go out, I cleaned up the house, cleaned the kitchen, prepped everything he would need for the dinner, including cutting up the veggies, got Ollie's nite-nite clothes out, made sure his towel was hanging up, cleaned up his room, and fed the damn cat! I didn't need to do ANY of those things. FTD would have been fine, and so would Ollie, but I did them because that is what it took for me to go out without guilt or worry. WHAT IS WRONG WITH ME???!!! Sometimes, I think I make my life more difficult, for no good reason. I live the endless field dream daily, and most times if I would just calm down, look around and think about what actually NEEDS to be done, I would have a lot more time for myself. I also think if I would just let FTD do some of the things, rather than do them before he gets a chance or just ask him to do them, I would not be so crazed either. He is happy to take out the garbage, but the second it is full I think the kitchen is going to implode if it doesn't go out immediately. Or, every night when he gives Ollie a bath, I lay out Ollie's nite-nite clothes. FTD knows where they are, why the hell am I doing it? I could use that time to relax! I have a dear friend who just had a baby, and through the craze of her life, a toddler, her husband and his two boys, she has A LOT going on. I asked her how she was holding up and she told me that on the really tough days she repeats, "Clean bums and full tums, that's all I need to do." I LOVE that!! It is SO true! As mothers, our first job is clean bums and full tums, and the rest will have to wait. I've got to stop trying to cross the endless field! I also think if I had a better handle on things, I would use my time better. I have friends that do certain chores on certain days, like doing laundry on Saturday, or cleaning the windows every other week. They swear by it, because knowing what day certain things need to be done, keeps them from worrying about the things daily. It makes sense. I'm really going to make a conscious effort to streamline my day like that. I'm going to see what I am doing that FTD can do, or what is over kill crap I don't need to do. Bottom line: I need to burn that endless field before it burns me! Are you stuck in the field? Do you have anything you do to stop the madness?